Paul McCartney and Skype have partnered to launch a new range of animated love themed Mojis for Valentine’s Day featuring exclusive new McCartney music coupled with Skype’s animated designs. His new set contains ten specially created Mojis. Kanye West, Ronan Keating, Daughtry, Vince Gill, The Jezabels and the first of many “Vinyl” TV Soundtracks lead the week's new releases. Kanye West's new album will be called The Life of Pablo. 50 Cent helped The Starkey Hearing Foundation’s celebrity Super Bowl Hearing Mission this weekend in San Francisco. Henry Wagons has released a video for ‘Santa Fe’, the second single of his debut solo album and we will forgive him for one little blooper. Something For Kate will regroup for one show only in Sydney in March. 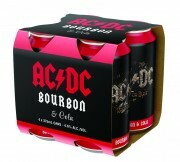 AC/DC did not learn their lesson after their bottle piss wine a few years back and invite you to “have a drink on me” with their new bourbon brand. Adele will fast track a live show for this Friday in Los Angeles. Duncan Jones, the son of David Bowie and his first wife Angela Bowie, has announced that Bowie was about to become a first time grandfather. The surviving Eagles members Don Henley, Timothy B. Schmidt, Bernie Leadon, Joe Walsh along with Jackson Browne will pay tribute to the late Glenn Frey at the Grammy Awards next week in Los Angeles. Donovan, ‘60s legend, icon, poet and one of our most enduring singer-songwriters, celebrates his 70th birthday with a special concert at The London Palladium on 6th May 2016. Eagles of Death Metal will play Bluesfest sideshows in Melbourne, Sydney and Fremantle in March. Gwen Stefani has been coming out of her shell over the last couple of days. Rapper DMX has been released from hospital after he was found unconscious on Monday night (08Feb16). Patrick Pipino, a Ben and Jerry's franchise owner in Saratoga Springs, NY, wanted to take his daughters Isabelle, 12, and Sarah, 7, to their first Bruce Springsteen concert. 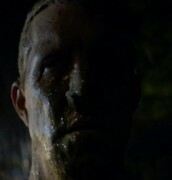 Tim Armstrong, the frontman foe US punk band Rancid, is the supernatural killer in this week’s episode of ‘The X-Files’. Tickets for the Prince ‘Piano & A Microphone’ shows in Sydney and Melbourne next week have sold out. Mick Fleetwood will perform Bluesfest sideshows with the Mick Fleetwood Blues band in Sydney and Melbourne as well as New Zealand in March and April. More details of ‘Good Times’, the new album by The Monkees, have emerged with it now revealed that Paul Weller has written a song with Noel Gallagher especially for the album. Mogwai debut 'Ether', the second track to be lifted from their forthcoming new album Atomic, due for release on 1 April via Rock Action in CD, double gatefold LP and digital formats. 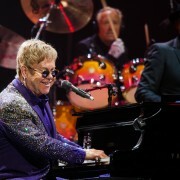 Elton John says he is inspired today by artists like Australia’s Sarah Blasko. The alt-rock band Belly are reforming this summer to play shows in both the U.S. and U.K.
Peter Cetera has officially informed the Rock and Roll Hall of Fame (and we would assume, his former group, Chicago) that he will not be performing with Chicago nor attending their induction.